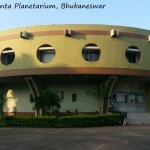 101 Things to do in Bhubaneswar! October 22, 2015 Durga Puja 2015 Updates! 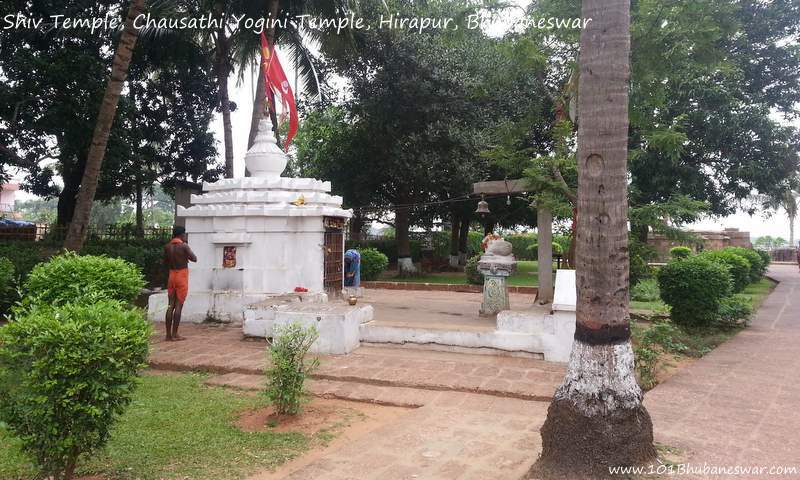 May 17, 2015 Nabakalebara 2015 – Lord Jagannath’s Daru Darshan! April 4, 2015 Mindtree Kalinga Update! April 1, 2015 Utkala Dibasa Celebration 2015! January 28, 2015 Wipro Bhubaneswar Center Expansion Update! December 27, 2014 All India Institute of Medical Sciences (AIIMS), Bhubaneswar! 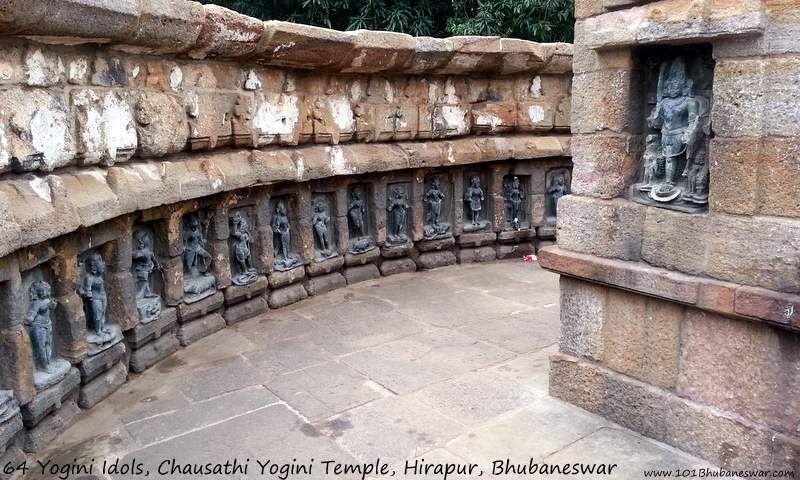 Chausathi Yogini temple, a temple built in 9th Century AD is dedicated to the worship of Feminine Power, Devi Shakti or Shaktism is located in Hirapur, a small village near Bhubaneswar. 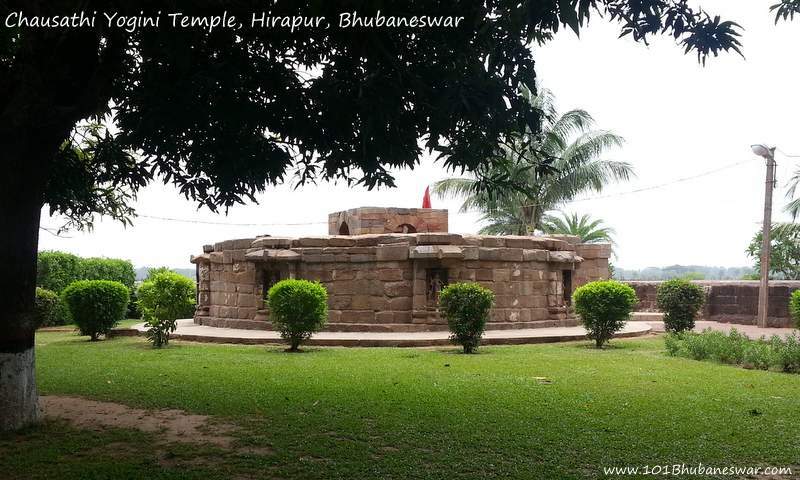 The ancient, circular, hypaethral (structure with no roof) temple is believed to be built by the queen Hiradevi of Bhrama dynasty. 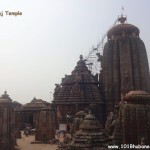 The temple is also called as Mahamaya temple by locals as she is the prime deity worshiped here. There is a total of 64 Yogini idols in the temple. 56 of them are placed on the inner wall of the circular temple. The wall is of 2.4-meter height and the circumference of the temple is about 27.4 meters. The remaining 8 idols are placed on a squarish central altar (mandap), 2 on each side of the altar. The central idol is of Goddess Kali (Mahamaya), standing on a human head which represents the victory of heart over mind. Idols of the Yoginis are the female figurines standing on an animal, a demon, or a human head portray the victory of Shakti (feminine power). Each idol expresses powerful and divine emotions of happiness, desire, joy, sadness, pleasure and rage. The temple was made hypaethral because it was a tantric temple in which the five elements of nature (fire, water, earth, sky and ether) are worshiped. 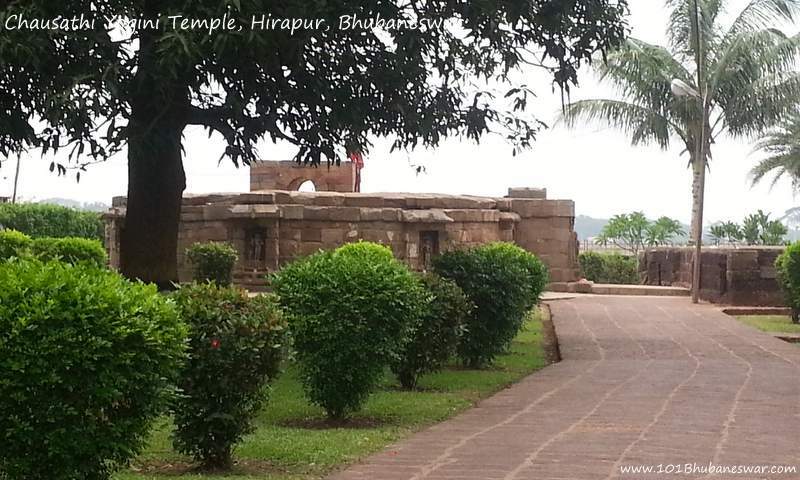 The Chausathi Yogini temple is located within green paddy fields near the Hirapur village. The temple compound and the nearby area is well maintained. There is greenery all around. The place is free from any type of crowd or noise. You will find the place full of calmness, purity and divine energy to charge you up. There is a pond located close to the temple. 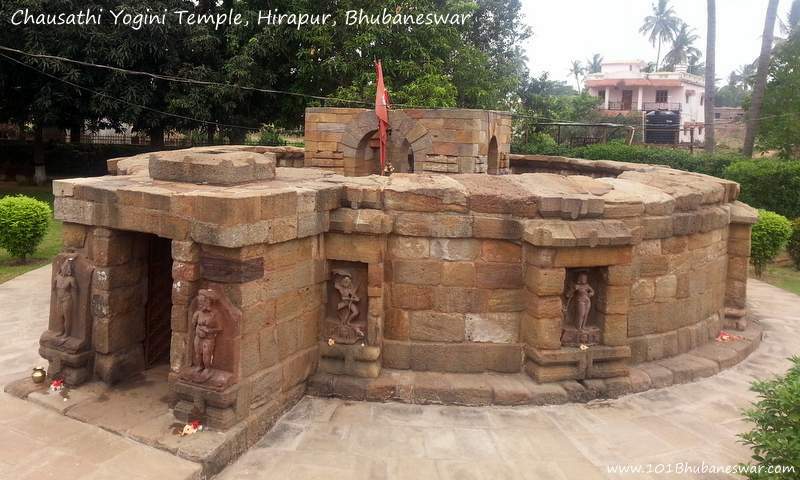 A small temple of lord Shiva is also present inside the temple compound. 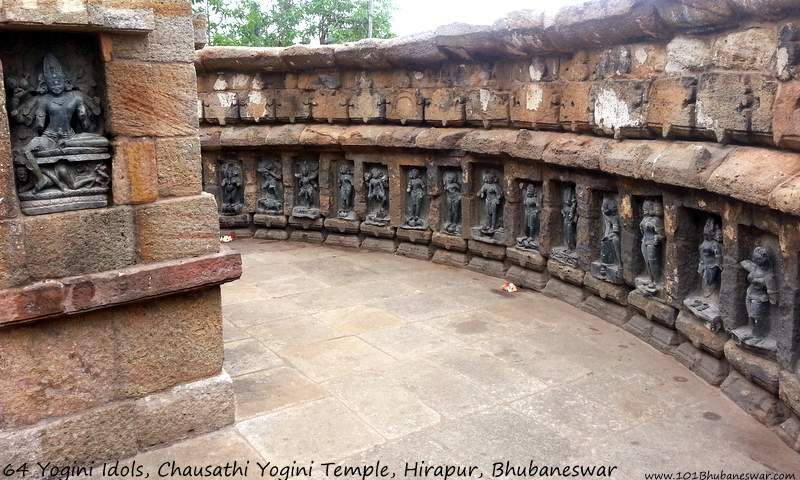 Chausathi Yogini temple at Hirapur is one of two such temples located in Odisha. 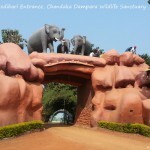 The other one is located in Ranipur-Jharial of Balangir. 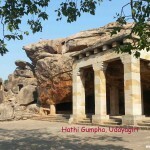 There are two other notable Yogini temples present in Madhya Pradesh, which are also of 9th century AD. 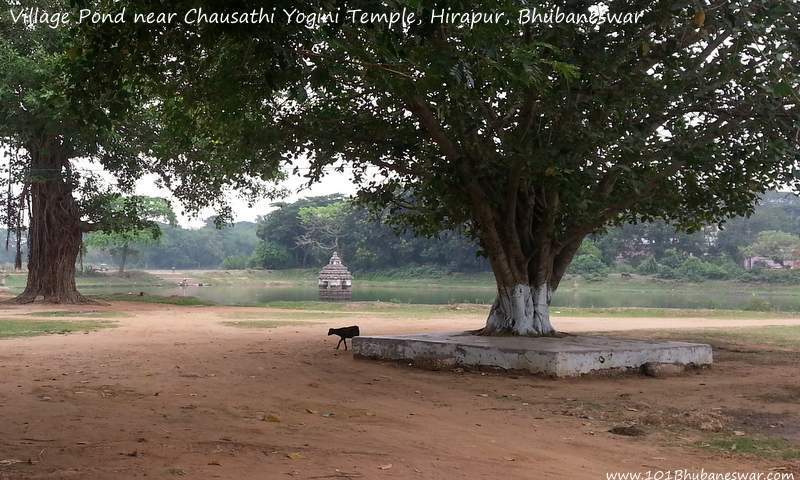 To reach Chausathi Yogini temple of Hirapur, you need to take Tankapani Road from Ravi Talkies square. After 2 KM, the road cuts Cuttack-Bhubaneswar-Puri bypass(NH 203) at Shirdi Sai Temple. Driving straight on the same road, you will cross Kuakhai River. 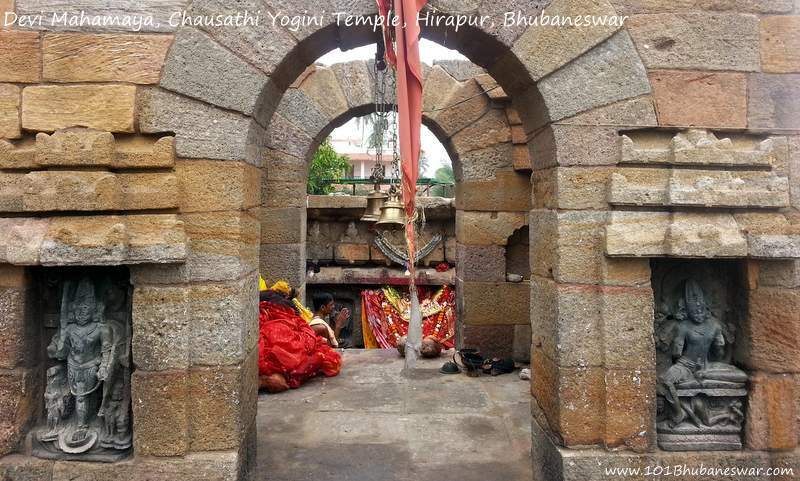 You need to take a right turn after the Kuakhai Bridge and Chausathi Yogini temple is within 2KM from that point. 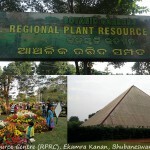 Direction boards are placed by Odisha Tourism at many places on your way which will guide you to the destination. 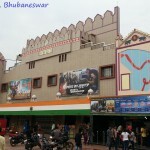 To summarize, this is just 20 mins (6.4 KM) drive from Ravi Talkies square in Bhubaneswar. You just need two hours to visit this beautiful place. If you want to spend some time out of the busy city life and experience divine calmness, then this place is definitely worth a visit.